The New Jersey Devils and Florida Panthers completed a trade on Friday evening that sees the contract of veteran forward Marc Savard and a 2018 second-round draft pick head to the Devils in exchange for forwards Paul Thompson and Graham Black. 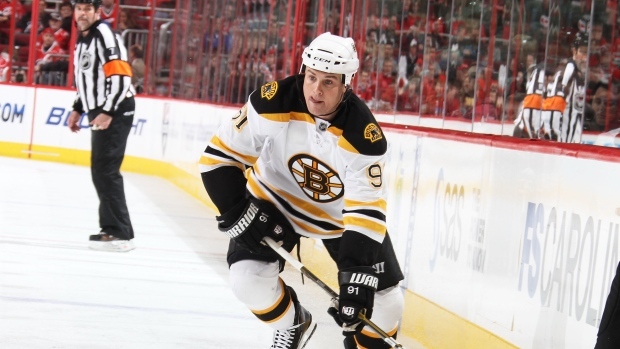 The 38-year-old Savard has not played since incurring the second of two conussions in under a year in January of 2011 as a member of the Boston Bruins. His seven-year contract, signed in December of 2009, expires after next season with a cap hit at just over $4 million. The Panthers had acquired the contract on Canada Day last year along with Reilly Smith in exchange for Jimmy Hayes. Thompson, 27, is a native of Methuen, Massachusetts. He made his National Hockey League debut last season, appearing in three games with the Devils. He had 13 goals and 22 assists in 56 games for their American Hockey League-affiliate Albany Devils this past season. Black, 23, was drafted in the fifth round of the 2012 NHL Entry Draft out of the Western Hockey League's Swift Current Broncos. A native of Regina, Saskatchewan, Black had seven goals and two assists in 50 games for the Albany Devils last year.